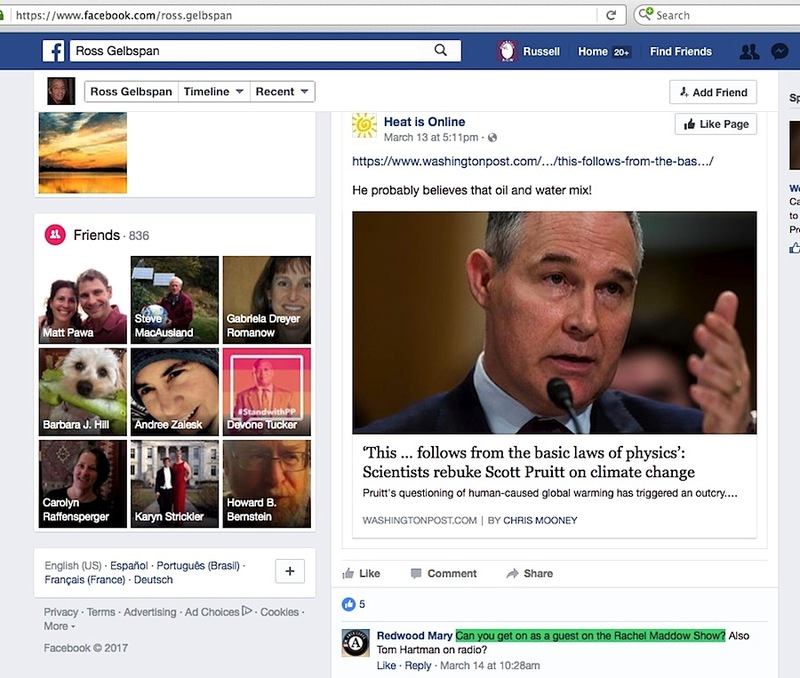 In my previous post, I detailed at length how an apparently hapless college student’s “Misinformation Campaigns Spread by the Fossil Fuel Industry” research paper fell apart under hard scrutiny. Today, let’s spend a shorter time on the elemental idea of ‘misinformation’ in the global warming issue, and where it seems to be more readily found. 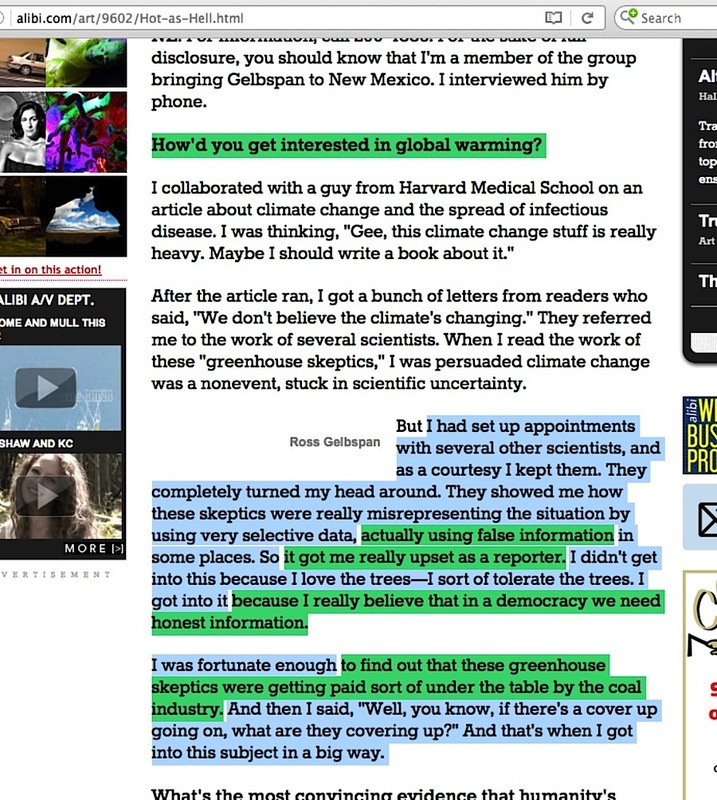 Ross Gelbspan, as a self-described reporter who was angered by the discovery of skeptic climate scientists being “paid sort of under the table by the coal industry” to spread “false information,” has had entire second career promoting the idea that we could be making better headway in stopping man-caused global warming it it weren’t for the industry funded coordinated misinformation campaign. 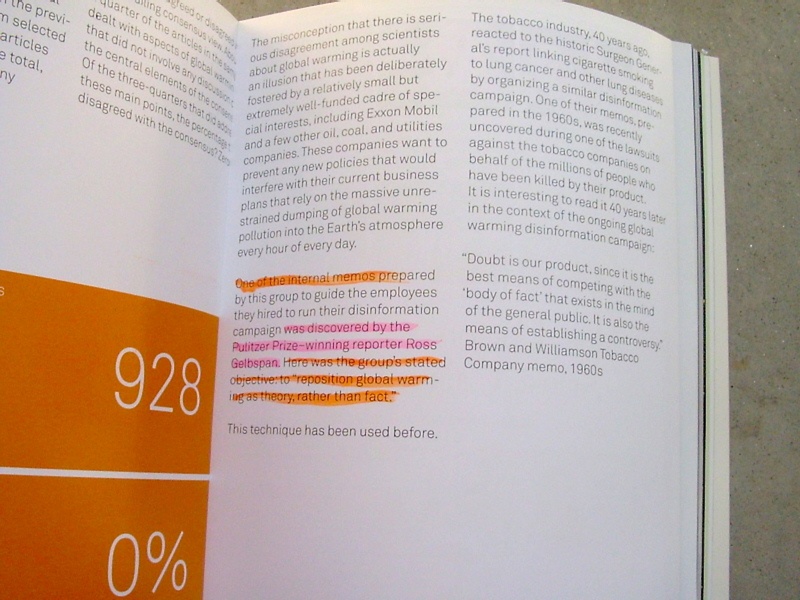 Such work received praise from no less than former Vice President Al Gore in a 2010 New Republic article, where Gore repeated the exact “smoking gun” leaked memo phrase which he said – in the companion book for his 2006 “An inconvenient Truth” movie – that Gelbspan discovered (Gore strangely doesn’t name Gelbspan directly in his article, but that is another story). 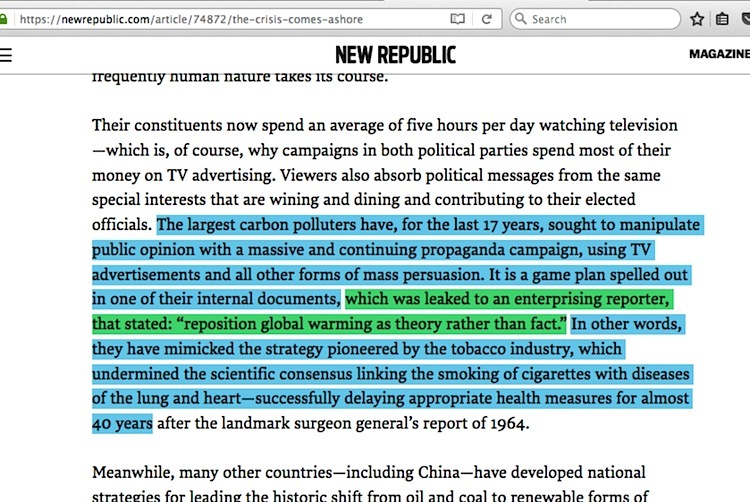 Wind energy experts dispute everything Gelbspan says there, and it is not implausible that what Gelbspan said was outright misinformation. Was it deliberate? Perhaps, as he may have misspoken while relying on pure guesswork. He might just say it was environmentalist hyperbole, in order to get a larger point across about reducing our reliance on fossil fuels. and his one-and-only bit of “smoking gun” leaked industry strategy memo evidence is not the top-down directive he portrayed it to be, and the memo evidence did not come from the place he said it came from. The point here is not that Gelbspan appears to have put out misinformation about his collective work back in 2004, it is that his words have huge influence right up to the present time, such as the only months-old ‘fossil fuel industry misinformation’ research paper written by an impressionable young college student, or the days-old suggestion by one of his Facebook Friends that he should get a guest appearance on CNBC’s Rachel Maddow show. Considering how much trouble Ms Maddow just got into with misinformation which backfired in spectacular fashion, having Ross Gelbspan on as a guest to prove there is an industry funded misinformation campaign going on could end up being an equally huge dud, if the rest of the public took a really hard look at what he has to say. This entry was posted in Narrative derailment and tagged Al Gore by Russell Cook. Bookmark the permalink.